A nifty way to never lose your receipt for a product you purchased is to enclose the receipt in a small envelope taped to the inside of the box. That way, if the product you purchased does not work as planned and want to make a return, you will know where the receipt is without having to dig around and waste time. Or if the product you purchased goes on sale and you need a price adjustment, you will know exactly where the receipt is. Also, I like to write down the date so I know when I purchased the product. After having the product for longer than the return policy date. 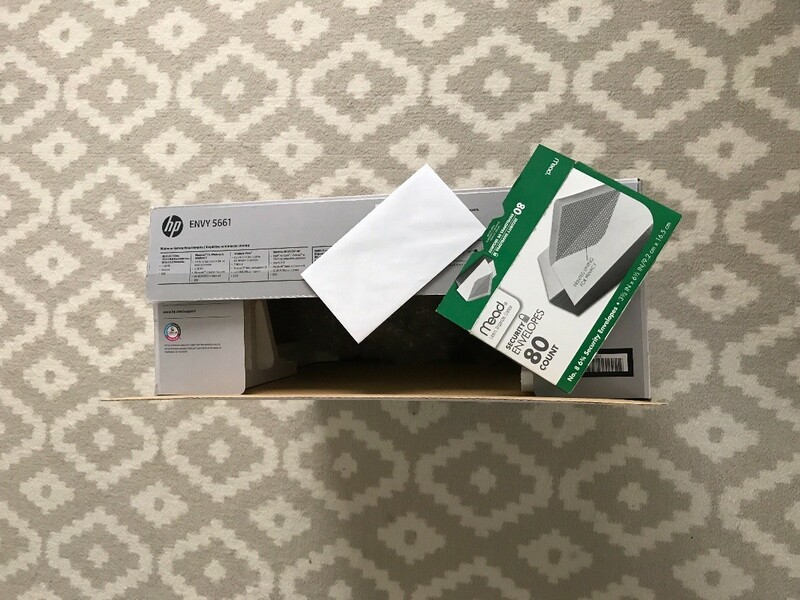 I will fold the box in case I need the box for storage or reuse for something else then keep all the warranty information in a separate folder just in case I need to reference it.